Encouragement to dine, learn and play outdoors regardless of the weather is a must in this day and age. An outdoor classroom canopy allows you to achieve this. 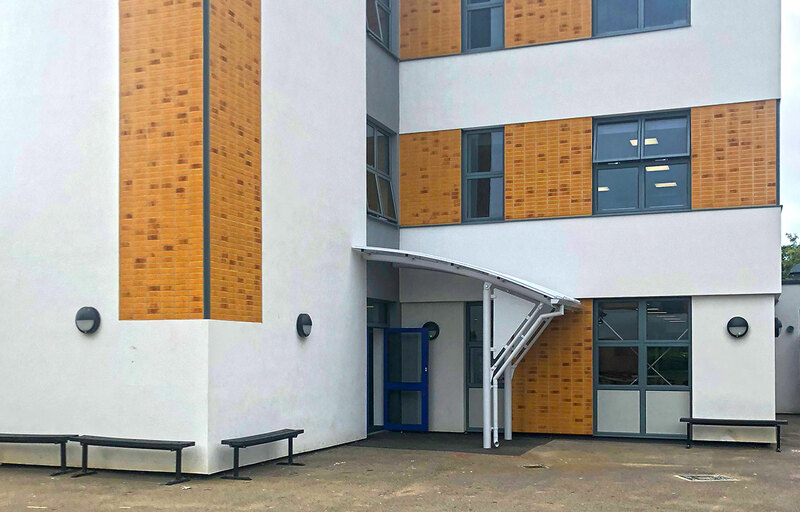 Additionally, walkway canopies for schools or campuses with several buildings will keep pupils and staff dry and comfortable in all weathers. 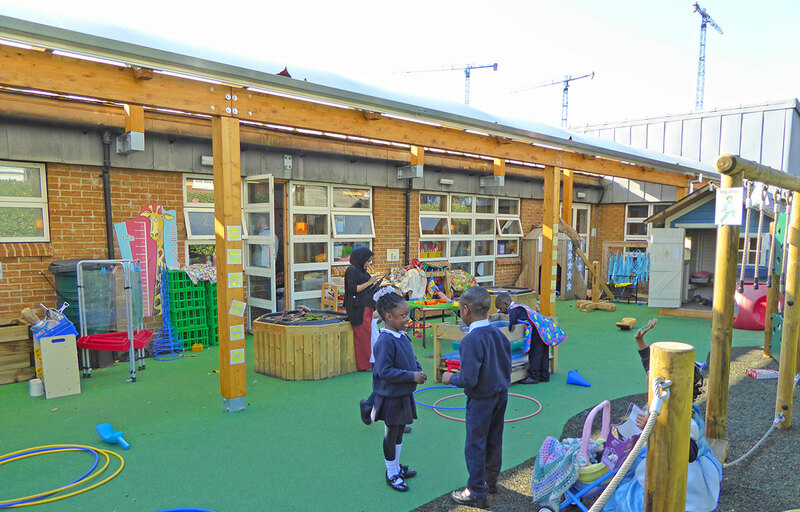 Covered outdoor dining areas for schools using canopies or a canopy are beneficial in terms of using space you already have for pupils’ wellbeing. 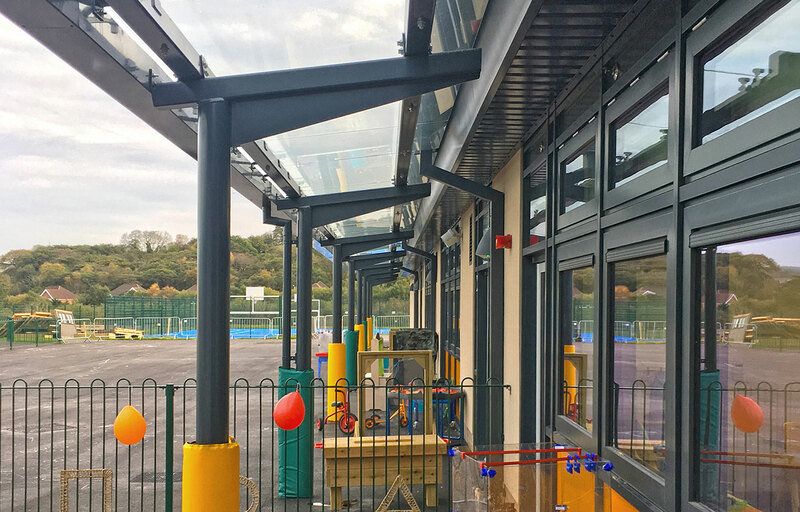 By developing under-utilised spaces with our proven school playground canopy solutions, you can maximise your outdoor learning, play and socialising zones. 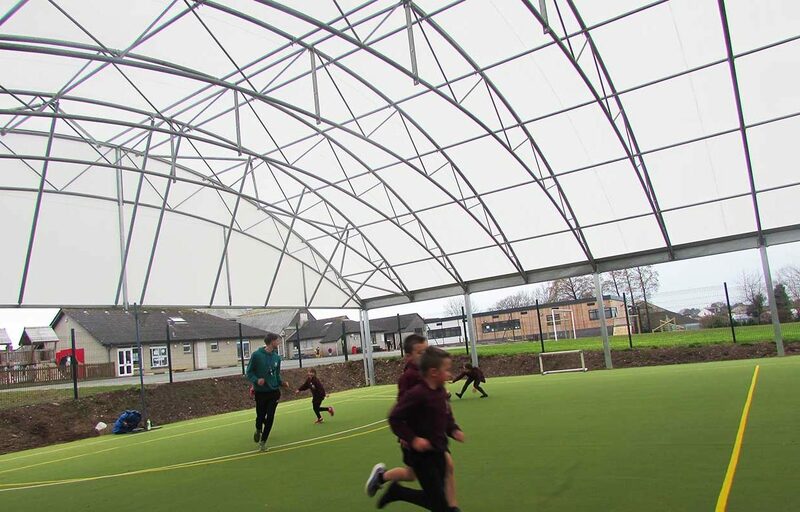 Our school shelter canopies create the perfect environment to do this in many settings and with our 25-year structural guarantee, you can rest assured it is a long term, low maintenance investment. Ofsted views outdoor learning as an essential element of a broad and balanced curriculum. Covered outdoor play areas and school playground canopies allow your school to get pupils outside whatever the weather. Offering playground adventure zones and expanding your classroom outdoors, has been found to engage pupils with a positive impact on their concentration and behaviour. 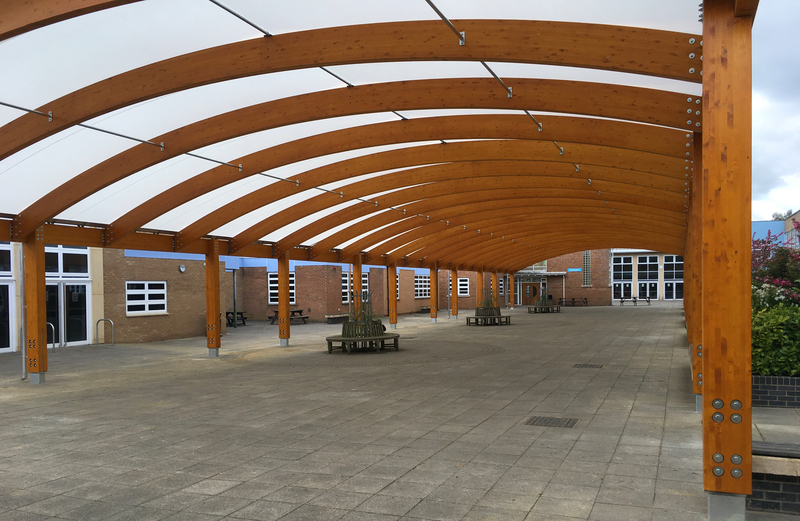 Look at how Leesland Primary School created such a space, using a Fordingbridge outdoor canopy for schools. 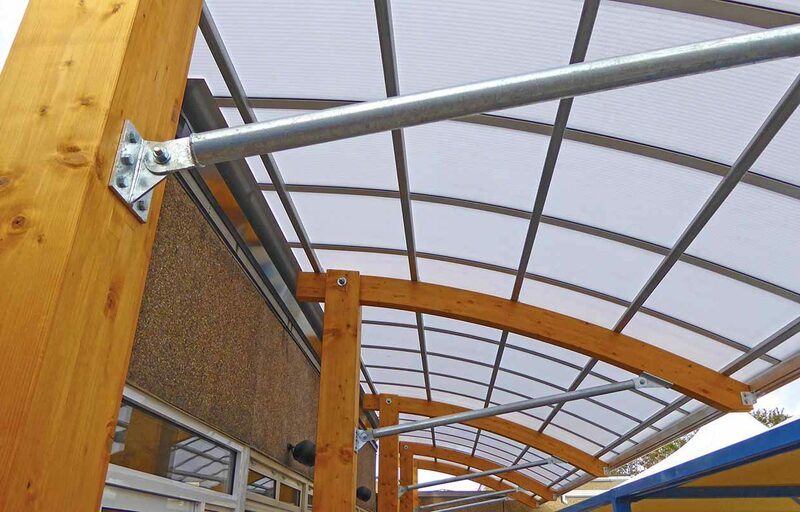 If your school is spread across a campus, you could provide a covered walkway to offer staff and pupils weather protection as they move around the grounds. The Carr Manor School covered walkway doubled up to keep the building cool in the summer months. Dining space is often at a premium in schools and colleges, with pressure on indoor dining halls. Outdoor canopies help ease this pressure by providing covered outdoor dining solutions. 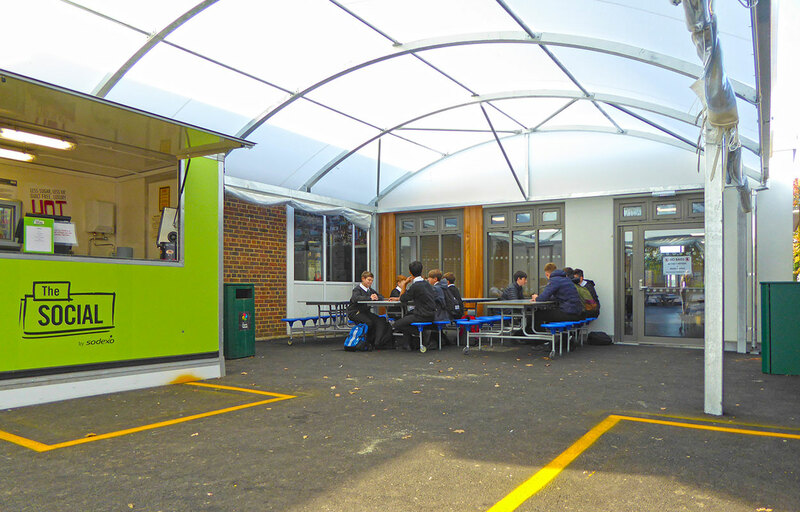 Hayling College used a large span outdoor dining canopy to maximise covers. 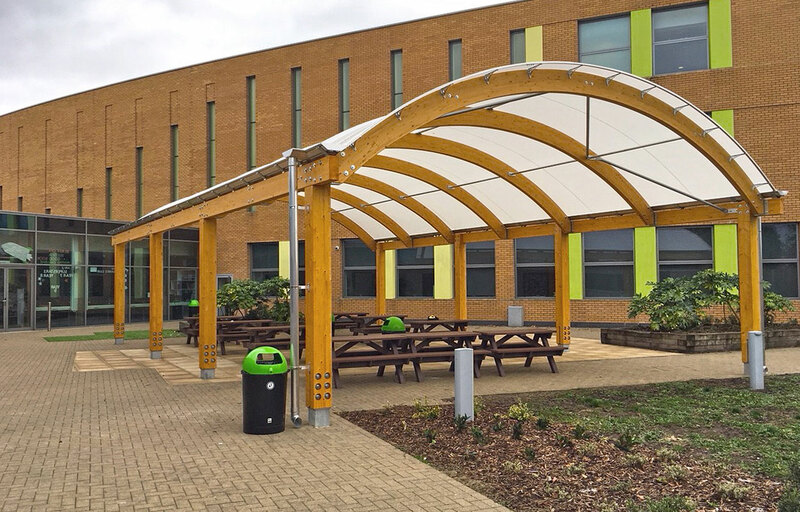 Canopies for college & university grounds are an invaluable resource and can be used for anything from seating or waiting areas through to extra outdoor covered dining space. You could use our octagonal canopy to provide inspiring, all-weather social and breakout spaces to be used for teaching as well as during break time by staff and pupils. Arthur Mellows College utilised three octagonal canopies for use as an alternative, cost-effective way of delivering the curriculum for staff and pupils. 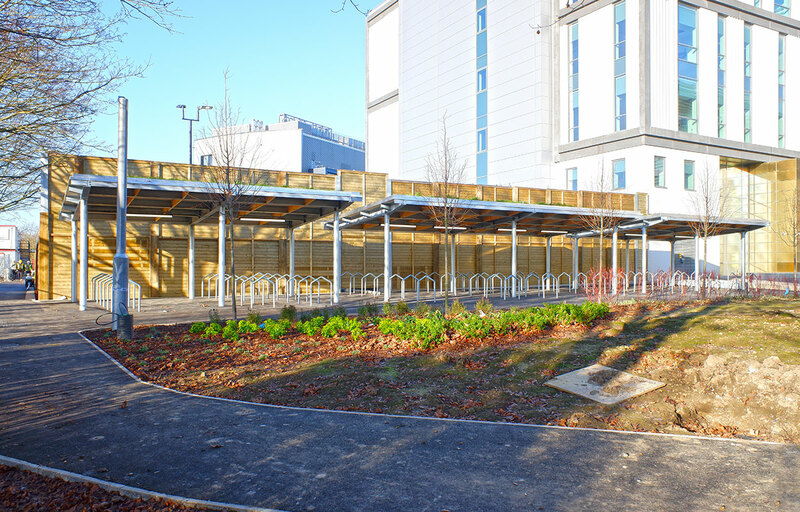 If the campus of your University/College requires bike shelters to house students’ and lecturers’ bikes safely, we have the perfect solution. The University of the West of England consulted us about their requirements to fulfill their taking part in the Better by Bike strategy. 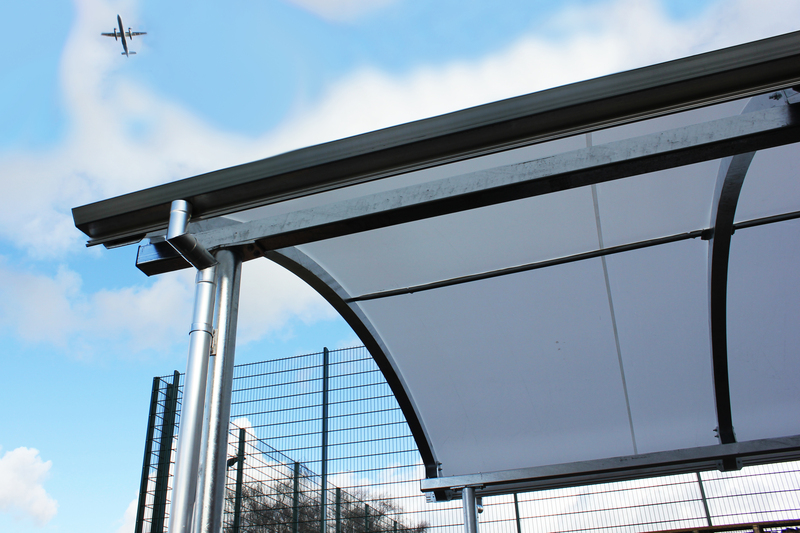 We designed, manufactured and installed a stylish and branded bike shelter. Maybe staff and students have to walk between departmental buildings. Our covered walkways between buildings, like the walkways at Moorlands Theological College, offer weather protection while in-keeping with the college grounds and branding. Fordingbridge know that providing outdoor, weather protected space for pupils to play sport is vital in maintaining health and wellbeing. Children and young adults need inspiration to participate in team sports. 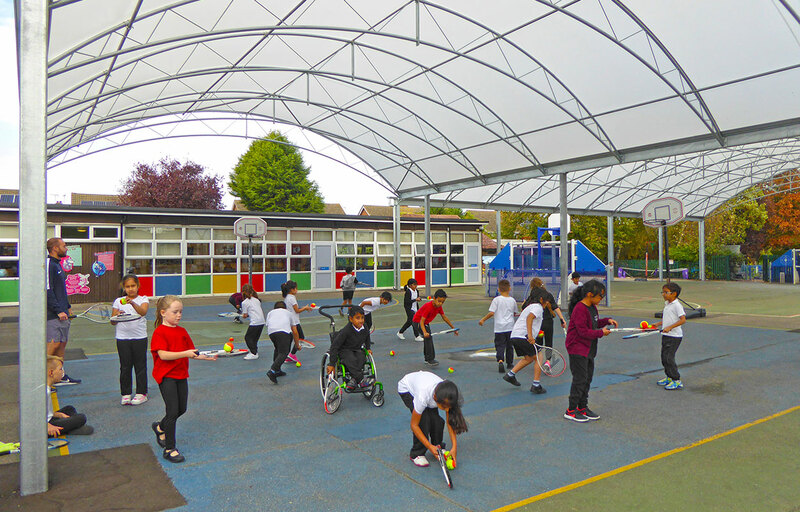 Our school MUGA canopies provide the perfect, year-round solution as demonstrated at Grange Primary School. MUGAs can be flood lit to increase the usage time during winter months. They can also be hired out to sports teams, when not in use by yourselves, to form an additional source of income. Read about more options for MUGA covers on our leisure page. Perhaps you require more internal teaching space? 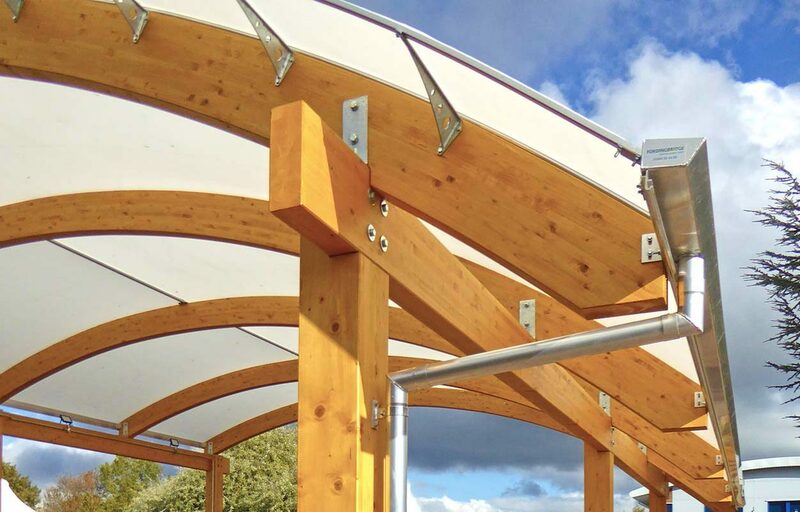 As our client, Fordingbridge provides you with a complete design and build service; guiding you from concept to design, construction and installation of your canopy. Check out the stunning timber framed sixth form building for Fairmead School.